When Matt Smith first announced he was leaving Doctor Who one of my concerns was that we’d never see River Song again. 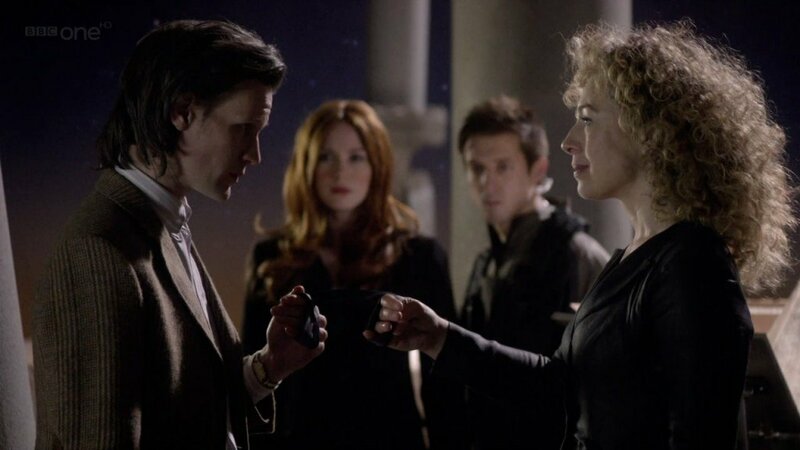 I loved the chemistry between Matt and Alex Kingston even if she sometimes treated him like a henpecked husband. I like to forget the fact that the first time Doctor Who fans actually saw River was the day she technically died and became part of a massive computer so not seeing her again wouldn’t be a huge leap. But still River and the Doctor’s timelines have never been straight and I’ve enjoyed their story completely. I actually cannot imagine another incarnation of the Doctor with River and it seems Matt Smith can’t either. Matt told fans at New Orleans’ Comic Con that he is “really possessive” of the character played by Alex Kingston, and asked writer and showrunner Steven Moffat not to put her in the new series with Peter as the Doctor. As much as I love River Song, I’m inclined to agree with Matt. She was his wife dagnammit! Anyway, Steven Moffat isn’t sure whether he’ll bring back River Song. What do you think? Should River come back? Can you imagine her with Capaldi’s Doctor?